Phyllis collected and wrote the content of this weekly digital newsletter and distributed it via email marketing software tool Constant Contact. 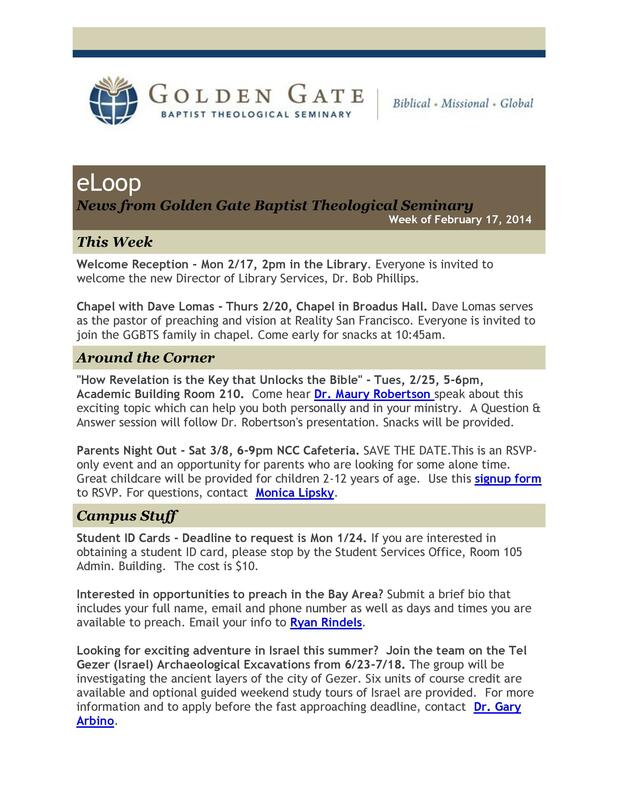 It was also posted on the Seminary website to students, staff, and faculty of the Northern California campus of Golden Gate Seminary from 2009-2014. 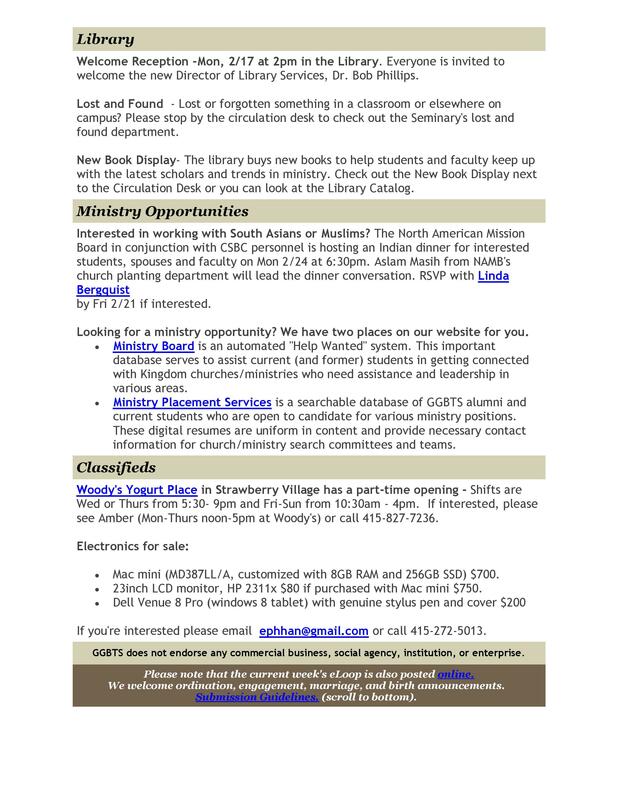 The newsletter was primarily written for the students, but helped to keep everyone in the loop with links to new courses, registration deadlines, graduation, events, classifieds, and job opportunities.